Harriet Shaw visited the Club from the Mackie’s Crisp Company based at Errol. Although hailing from north of Inverness, she has secured her place in Perth after three years in the area. 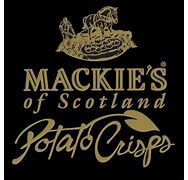 Mackie’s story goes back many years to when the Taylor family began farming in Perthshire in 1927, to them teaming up with Mackie’s of Scotland in 2009 when Mackie’s Crisps were launched! The company began with just three core flavours – Sea Salt, Sea Salt & Vinegar and Mature Cheddar & Onion. They soon added our Scottish specialty varieties to the range and became renowned for their unique Scottish flavours. Harriet presented the crisp making process as ploughed, picked, perfected and packed with a deal of technical knowledge. Where potato growing is concerned there is any environmental concern about the effect of potato production in that area. She added that the potatoes selected to make crisps undertake size grading, stone separation and washing using top-of-the-range machinery. The potatoes are then thickly sliced and rinsed before cooking. Mackie’s use High Oleic Sunflower Oil because it has optimum composition and proven results for crisping. Packaging some 12 million packets of a unique product in a year provides a wide range of flavours sold around the world. 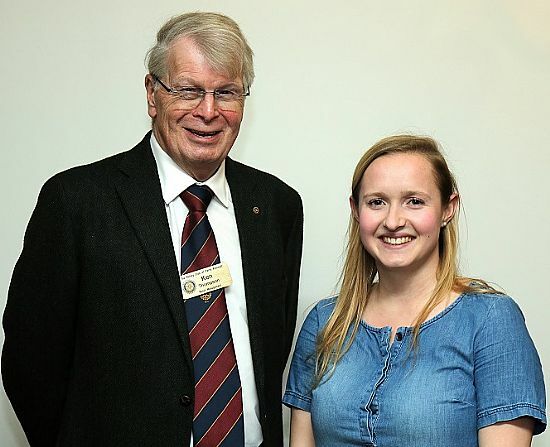 Helen was particularly pleased to explain the company’s involvement with the charity Muscular Dystrophy UK as they have raised just over £11000 in a short time and intend continuing the relationship. Ken Thompson thanked Harriet for an interesting and fun presentation which was enjoyed by the Members who equally enjoyed some of the product.